What would you like to do or see? 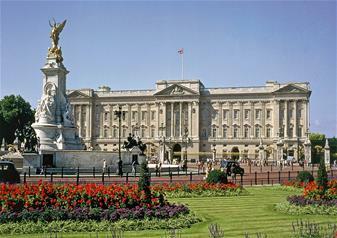 Your Royal London Walking Tour has to be redeemed within 7 days of your Buckingham Palace tour. Have a royal adventure like no other as you get to visit the Queen’s official royal residence of Buckingham Palace. This world-famous palace is home to Her Majesty and has been the venue for State visits from some of the most iconic and well-known figures in the world and now you! During your royal exploration, you’ll get to venture through the State Rooms and see the incredible masterpieces in the Royal Collection. With works by Rembrandt, Rubens and Canaletto, you’ll get to discover it all with multimedia commentary throughout. You’ll get to explore the exquisite royal ballroom, the exuberant throne room, climb the famous golden staircase and venture out into the beautiful 42-acre garden. This summer you’ll have the extra special opportunity to celebrate Queen Victoria’s 200th birthday at Buckingham Palace. Showcasing how Queen Victoria changed the Palace into the powerhouse of the British monarchy, it will give you a rare glimpse into her personal belongings including her exquisite royal ball gown. Palace, Walking Tour ticket and a souvenir gift. For safety reasons, pushchairs are not permitted in the State Rooms. They must be checked in and reclaimed at the exit. Baby-carriers are available for loan. A one-way system operates along the entire visitor route for safety reasons. Use of mobile phones are permitted in the Palace garden. Mobile phones must be switched off elsewhere on the visitor route. Photography is not permitted inside Buckingham Palace. Please remember to take your Golden Tours voucher to the ticket office at Buckingham Palace on day of visit where it will be exchanged for an entrance ticket. Tickets cannot be amended or cancelled once booked. Clients that require mobility access must book by calling (0)3031237324.